Saturday, November 3, 2018, 11:00 a.m. Artist and writer Jenna Crowder will speak with Carly Glovinski about the list of books, essays, and poems that Crowder developed in resonance with Glovinski’s exhibition Currents 8. Introduced by Beth Finch, curator of the exhibition. Thursday, November 1, 2018, 5:30 p.m. Artist Carly Glovinski and Waterville Public Library Interim Director Tammy Rabideau will be interviewed by a member of the Museum Student Advisory Board. Glovinski’s Secret Garden (Waterville), a participatory artwork made of painted objects intended to “fool the eye,” is installed on the bookshelves of the Waterville Public Library as part of the exhibition Currents 8. Interested individuals are invited to apply to the Maine Digital Humanities Institute, a FREE online seminar facilitated by Dr. Dianne Fallon, YCCC, from January 22 through March 8, 2019. The workshop is aimed at building both skills and communities of practice, with the goal of building expertise within the Maine humanities communities, including educators, museum staff and volunteers, and students, especially graduate students. The project is an outgrowth of efforts at YCCC to expand faculty and student knowledge of digital humanities tools. Applications, which are mostly aimed at a getting a sense of applicants and their projects, are due by Monday, November 25. In the workshop, participants will work on developing their own digital project over a seven-week time period. Projects might range from a personal or professional project that you want to play around with, to developing a student assignment that incorporates some of these tools. The Osher Map Library and Smith Center for Cartographic Education at the University of Southern Maine is seeking applicants for the part-time (20 hours per week), temporary (up to one year from start date), non-benefitted, hourly position of Educational Outreach Assistant in the Osher Map Library and Smith Center for Cartographic Education (OML SCCE) located on the Portland campus. Hours are typically Tuesday to Friday, morning through early afternoon (K-12 schedule). Expected start date around November 1, 2018. The Educational Outreach Assistant will assist the Coordinator of Educational Outreach with curriculum development, field trip support (on and off site), teacher workshops, and increased outreach to local high school educators. This position provides administrative and complex clerical work for OML SCCE outreach, with a strong emphasis on K-12 outreach, organization, and follow through. This position works collaboratively in a small team environment to support the mission and services of the Osher Map Library and Smith Center for Cartographic Education. Independent judgment and initiative are frequently exercised. The Educational Outreach Assistant works with other staff on library marketing, social media, and website activities and content. This position has extensive in-person, telephone, and online interactions with students (K-12 and university), faculty, staff, and the general public, and utilizes a wide range of resources in a variety of formats. For more information about the position and qualifications, please visit the job ad. Applications are due by October 14, 2018. Museum L-A is thrilled to announce a new gallery exhibit opening this fall that explores the Franco-American experience through a new medium: cartoons. The exhibit, “Beau-frog: The Art of Peter Archambault,” will display the artwork and political cartoons of Peter Archambault, a native of Madawaska, Maine. His artwork, featured monthly in a Franco-American publication at the University of Maine at Orono, Le F.A.R.O.G. Forum, provided rich political commentary, an investigation into immigration practices, and an exploration of the Franco-American culture in Maine and New England. The public is invited to attend the free opening reception of the exhibit on October 3, 2018, at 5:30 pm. During the exhibit, Susan Pinette, Director of Franco American Programs at the University of Maine will give a free talk about the artwork on display and Peter Archambault’s life on November 14, 2018, at 6:30 pm in the Museum L-A gallery space. The history of Franco-American communities in the seventies and eighties has not yet been written. This talk aims to begin to fill this void by exploring drawings made by a Franco-American artist engaged in struggles to support and defend the rights of Franco-Americans. Archambault created a character called “Beau-frog” as a way to reclaim the common slur generally directed toward francophone and French heritage people during this era. The daily exploits of the frog truly illustrate the trials and tribulations of a minority figure coming to terms with their personal and cultural identity while surrounded by the pressures of an Anglophone majority. Despite this work being created for the Franco-American students on the Orono campus, the cultural exploration found in Archambault’s cartoon drawings can speak to the experiences of the people in our community of Lewiston-Auburn, a place deeply affected by French Canadian immigration since the 1850s. While on display in the Museum L-A gallery, his work gives visitors the chance to explore these themes of immigration and cultural identity through the unique medium of cartoons, and allows them to come up with their own interpretations and conclusions about the meaning behind the art. “Beau-frog: The Art of Peter Archambault” was created in partnership with The Holocaust and Human Rights Center of Maine and the UMaine Franco American Programs. “This exhibit comes to our gallery space at a very appropriate time, since Museum L-A is dedicating Fall 2018 to talking about immigration at the local and national level through the Becoming American program,” Museum L-A’s Director of Education and Outreach, Kate Webber says. Becoming American is a public program that features films, discussions, and a wide variety of events across the twin cities in collaboration with over 20 community partners. Museum L-A was selected as one of 32 sites across America to host this program series. For more information about the upcoming programming, please visit Museum L-A’s website. Museum L-A is located in the Bates Mill Complex at 35 Canal Street in Lewiston, Maine. Its hours of operation are Tuesday through Friday from 10 am to 4 pm and Saturdays from 10 am to 3 pm. Special tour requests and large group tours outside of these hours are available by appointment. For more information, please contact info@museumla.org or call 207-333-3881. On September 16 from 11 am to 3 pm, the Westport Island History Committee in collaboration with homeowners, the Community Association, the Town Hall Committee and other island partners will be sponsoring an historic homes tour: "An Island Home: Six Historic Houses of Westport Island Maine." The houses are all associated with families of the first Westport Island settlers. Homesteads include characteristic features such as stone-walled pastures, barns and other outbuildings, mills, wharves and related waterfront structures. The homes are representative of 18th to 19th century Georgian, Federal and Greek Revival styles. HHRC OPens New Photography Exhibit - "Everyday Maine"
Augusta—On Saturday, September 8 from 2 to 5, the Holocaust and Human Rights Center of Maine opens a new exhibit, Everyday Maine, featuring over 190 photographs from 74 Maine photographers. Curated by Bruce Brown, the exhibit features a joyous collection of Maine’s diversity across ability, economics, gender, geography, national origin, race, sexual orientation and work. Curator Bruce Brown and Associate Director David Greenham recruited a very strong group of Maine photographers to share photos for the exhibit, including Melonie Bennett, Jeffrey Becton, Tonee Harbert, Sean Alonzo Harris, Tanja Hollander, Michael Cullivan, Jocelyn Lee, Peter Ralston, Jack Montgomery, Cig Harvey and many others. The exhibit also features photographs by the late, renowned national photographers Berenice Abbot and Olive Pierce. Nearly half of the photographers in the exhibit are women. 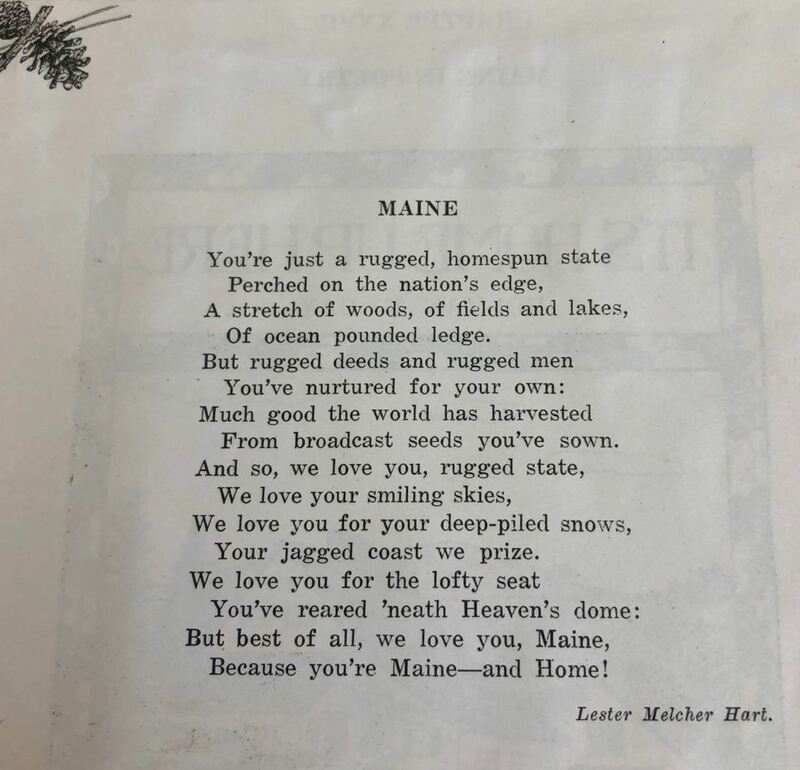 Everyday Maine will be on display through the end of December at the Holocaust and Human Rights Center of Maine’s Michael Klahr Center, which is located at 46 University Drive on the campus of the University of Maine at Augusta. The Michael Klahr Center is free and open to the public Monday through Friday 8 to 4. Michael Klahr was a hidden child who survived the Holocaust. The Michael Klahr Center is dedicated to permanent exhibits commemorating Michael and other Holocaust survivors as well as rotating arts and culture exhibits highlighting contemporary and historical human rights issues. In addition to exhibit space, the Michael Klahr Center features a large classroom and a small auditorium appropriate for hosting school and community groups. The Holocaust and Human Rights Center also provides free educational workshops to schools throughout Maine. For more information, visit hhrcmaine.org. Her first film, The Home Road, aired on Maine Public earlier this year and has been screened in over 20 locations in Maine and New Hampshire. Do you have any heirlooms that have been passed down in your family from generation to generation? Perhaps you have your grandmother’s wedding dress, or your great-uncle’s scrapbooks, or your mother’s baby pictures. Items like these can be decades old and hold a precious place in your heart and in your home. After they have been passed to you, it is your responsibility to protect them so they can be enjoyed by further generations. Do you know how to care for them? Museum L-A is hosting the “Family Heirloom Preservation Workshop” to teach the general public about the ways that they can care for their precious documents, photos, or objects and stop the damage caused by common environmental threats. Emma Sieh, Collections and Exhibits Coordinator for Museum L-A, will be joined by conservation experts from the Northeast Document Conservation Center and the Maine State Museum to provide information and tips on how to maintain and store your own collections. This event will be held in the Museum L-A gallery on Saturday, August 25th from 10:00 – 3:00. Tickets are $50 per person and include access to the full day of activities, free catalogs and informational booklets, as well as a lunch catered by Fishbones American Grill. When you purchase your tickets, your name will also be entered into a raffle to win a door prize of preservation supplies donated by Gaylord Archival and University Products valued at $100! There are only 40 spots available for this workshop, so please visit Museum L-A’s website at www.museumla.org to register! Museum L-A is located in the Bates Mill Complex at 35 Canal Street in Lewiston, Maine. Its hours of operation are Tuesday through Friday from 10 am to 4 pm and Saturdays from 10 am to 3 pm. Special tour requests and large group tours outside of these hours are available by appointment. For more information, please contact info@museumla.org or call 207-333-3881.